Have you been looking for a midsize pickup truck that can fulfill all of your daily needs and tackle your heavy-duty jobs with ease? If so, be sure to come by Headquarter Nissan in Columbus, GA. At our dealership, motorists can survey a large assortment of new Nissans in stock including the 2016 Nissan Frontier. Headquarter Nissan is one of Georgia's top-rated Nissan dealerships and has served Ft. Benning, Cataula, Lagrange, Phenix City and Auburn, GA for a number of years with a great selection of cars in stock. Visit Headquarter Nissan at 1725 Whittlesey Rd. and test drive the new Frontier today. The midsize pickup truck segment is packed with some great options, so let's compare the 2016 Nissan Frontier against the Toyota Tacoma. As midsize pickup trucks, both the Frontier and Tacoma are versatile cars that can be used in a variety of driving situations. However, one of the vehicles can save you money in the initial purchase. 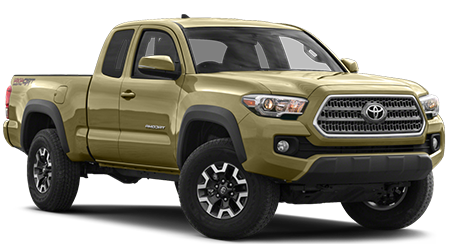 The Frontier starts at $18,290, while the Tacoma has a MSRP of $23,300. 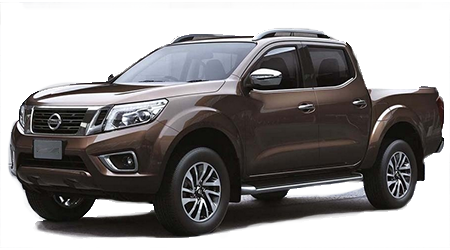 With the Frontier's more affordable price tag, it's the better choice. To provide you with a comfortable ride, the new Frontier has a more spacious interior. The Frontier has more rear legroom, rear hip room, rear headroom and passenger volume than the Tacoma. With the Frontier's spacious interior, you can enjoy driving the pickup truck on a routine basis. To provide you with the peace of mind to enjoy driving the Frontier on a routine basis, the midsize pickup truck comes with a lengthy warranty. The pickup trucks comes with a 3-yr./36,000-mile basic warranty, 5-yr./60,000-mile powertrain warranty, and an unlimited-mile corrosion perforation warranty. When it comes to getting into a pickup truck that can do it all, the 2016 Nissan Frontier is an amazing option. With the Frontier's more affordable price tag, spacious interior and lengthy warranty, it has the edge over the Toyota Tacoma. Stop by Headquarter Nissan at 1725 Whittlesey Rd. and discover the Frontier today.